I attended a regional consultation workshop of the National Economic and Development Authority (NEDA) last October 2013. The workshop was held in Bustos, Bulacan, which is located north of Metro Manila. There are two options to go there. One is via Quirino Highway starting from Quezon City, through North Caloocan City, and the through San Jose del Monte, Norzagaray and Angat in Bulacan where Quirino becomes the Gen. Alejo Santos Highway (which also connects to the Dona Remedios Trinidad Highway or Pan-Philippine Highway). Another route is via the North Luzon Expressway exiting right after the Guiguinto Exit and unto the Plaridel Bypass Road. The road is basically a two-lane, two-way undivided highway with concrete pavement for the carriageway and gravel shoulders. There’s adequate signs and road marking along the road. Areas on either side of the highway are agricultural land and at certain sections, the elevation of the highway requires barriers on either side of the RROW. Note the lack of lamps along the road that makes it quite dark at night time. At daytime, travelers get a nice view of the countryside or rural Philippines. Near intersections, the carriageway is wider to accommodate channelization including the median island shown in the photo. I recall at least 2 intersections with traffic signals including this one with the Gen. Alejo Santos Highway. 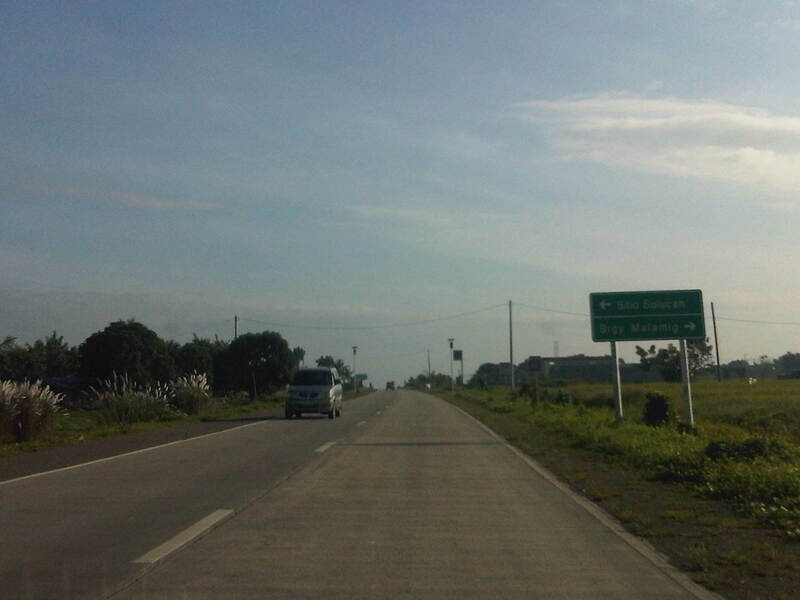 Note the sign on the right indicating directions to Bustos, Angat and further on to Cabanatuan, Nueva Ecija. 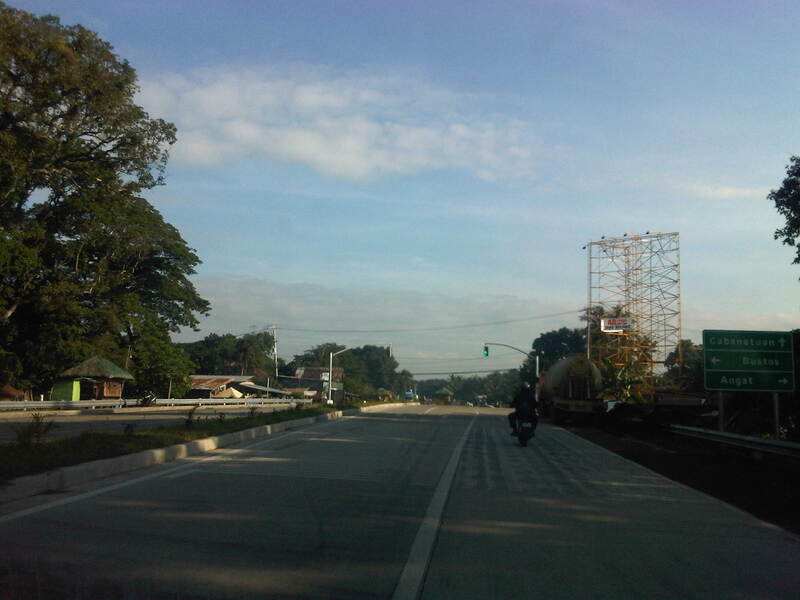 The construction of this bypass road effectively cut down the travel time to Bustos and the nearby Bulacan towns of Angat, Baliuag and even San Ildefonso and Norzagaray. Such highways are good examples of infrastructure that provides good access to farms around the country while also providing alternate routes to bypass congested roads through fast developing towns. By d0ctrine in Highways and Streets on January 7, 2014 .